Electromagnetic wave propagation as the propagation of transverse mechanical waves of the physical structure of gravity field. Collapse of transverse mechanical waves of photons. Once torsion has taken place at one end, a transverse mechanical wave will be produced in the form of a spiral curve advancing towards the other end as shown in the figure (well, an animated gif would better indicate this). 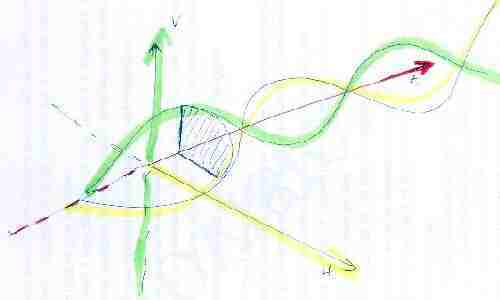 Therefore, energy from the photon or the mechanical torsion will transmit from the point of origin towards the other end of the beam according to the parameters of the transverse elasticity. This presentation of photons as transverse mechanical waves is a mere simplification of what happens in reality. It seems that in the case of propagation of electromagnetic waves, the torsion of a filament in the Global Aether will necessarily affect the adjacent filaments. So, one can talk about three-dimensional waves, but still not knowing what a photon is. As a result, the beam or bar will represent the wave sequence or the collection of filaments affected in the reticular structure of matter, Global Aether, by the advance of the electromagnetic wave. From the perspective of the central axis of the transverse mechanical wave, the amplitude of the electromagnetic wave will depend on the elastocytes needed to reflect the total energy of the wave, bearing in mind that each elastocyte represents a minimum unit of energy or quanta. According to Wikipedia, since they are transverse waves, they can polarize, whereas longitudinal waves, such as the mechanical waves of sound, cannot polarize because the oscillation has the same direction as its propagation. Wikipedia also states that the study of electromagnetic polarization only concerns the electric fields of the aforementioned transverse waves by convention, since the magnetic field is perpendicular and proportional to the electric field. We still have not been able to make out the difference between an electric field and a magnetic field in a photon. We suppose it would be a conventional difference because of historical reasons, and because it is useful to separate the two spatial components. Maybe it has something to do with the differences due to the direction of propagation of the electromagnetic waves, concerning the tension of the longitudinal curvature of Global Aether and the resulting difference in torsion potential. Another way to look at it will be to ask ourselves if the magnetic wave has an electric component in its transverse wave propagation. The figure on the propagation of the magnetic and electric fields shows the classical virtual division of the electromagnetic wave propagation. This representation of two planes of a three-dimensional transverse and mechanical wave corresponds to the lines defining the area of Global Aether affected in each instant. The figure is not exact because the vertical and horizontal lines of the propagation of the wave of the transverse mechanical wave cannot be so straight. However, we hope we have achieved the intended effect. The fact that the mechanical wave maintains the energy of the photon indicates that the luminiferous aether –longitudinal tension of Global Aether– is a non-dispersive medium. Another property of electromagnetic waves is that they break the symmetry of the simple radial structure of gravity. Warning! This event is not to be confused with the mathematical collapse of the wave function in Quantum Mechanics. Consequently, the photon will have transmitted its energy to the receiver particle. The energy received may cause an increased vibration in the mass and the surrounding Global Aether, or increased heat, or kinetic energy of the linear movement of the mass. Meanwhile, the spatial distortion that the photon created disappears, and the particle with mass absorbs a tiny bit of the Global Aether. It is like if a car were to enter a highway at speed compatible with that of the other cars on the highway. Consequently, the rest of the cars would have to either readjust their speed to maintain a safe driving distance (heat) or go faster to increase the available space (kinetic energy). Another possibility is that the transverse mechanical wave, for whatever reason, rebounds in the direction of the displacement or another direction. It could be that the frequency of the wave and the particle with mass are incompatible, somewhat like a car entering a highway too slowly or with too many cars. What could also happen is the reception of the photon, but immediately reemitted because it created an unstable state in the receiver particle with mass. In this case, the car will manage to enter the highway because it goes faster, but it pushes another car out, forcing it to leave the highway. One more possibility is that the torsion of the transverse mechanical wave ends up creating a half-fold or a complete loop. 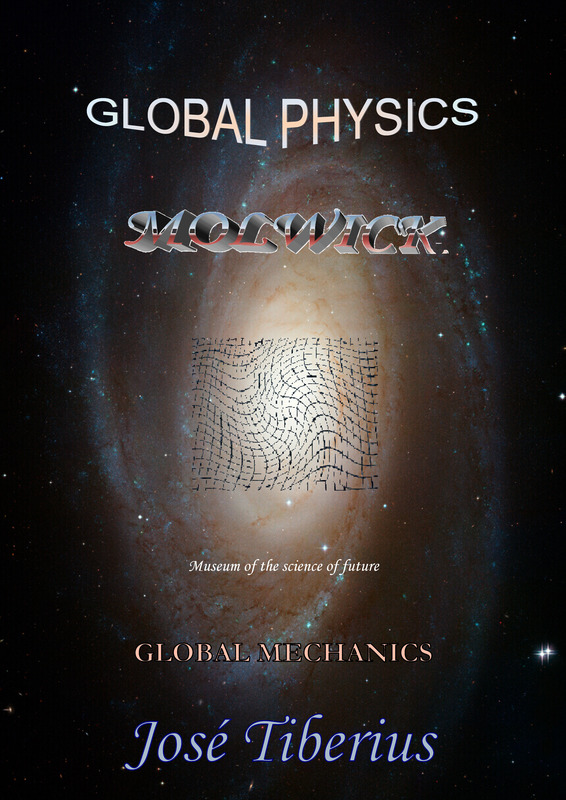 Another essential characteristic of the propagation of electromagnetic waves or photons refers to the concept of movement, which we study in detail in the book on Physics and Global Dynamics, particularly the sections regarding the Dynamics of the Movement of Light. 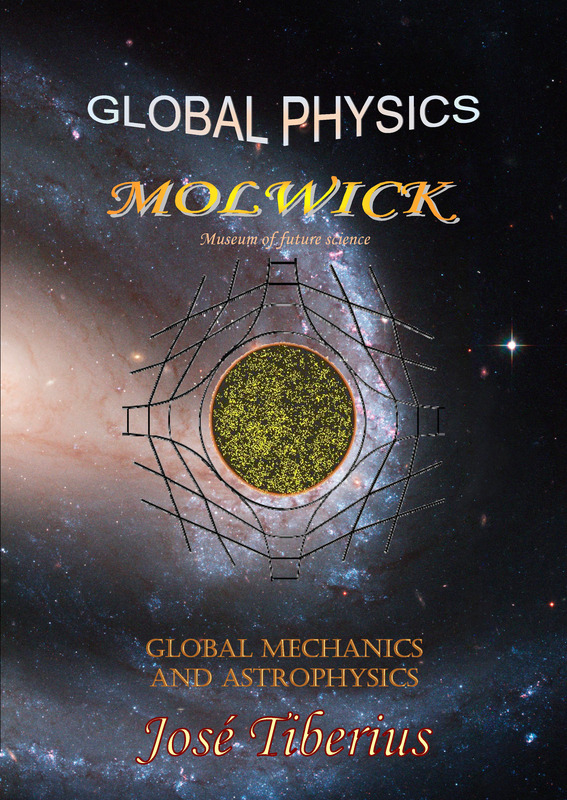 Finally, we would like to point out that wavelike behavior shown by photons, as transverse waves of a mechanical nature propagating on luminiferous aether –gravity field or tension of the longitudinal curvature of Global Aether or reticular structure of matter– implies the beginning of the unification of the gravitational interaction with the electromagnetic interaction. The full unification will come with the mechanism of creation of mass.